Legacies aren’t automatic; they are carefully built. You have to cherish the right goals and ideals. This 47-page eBook tells you how you should go about it. Leaving a legacy is something most people don’t consciously think about, and those that do, are thinking of a larger picture, something that’s bigger than life itself. But, how do you leave a legacy for others to follow and peruse? When individuals imprint their deeds in the hearts and mind of people around them, they leave behind a legacy. 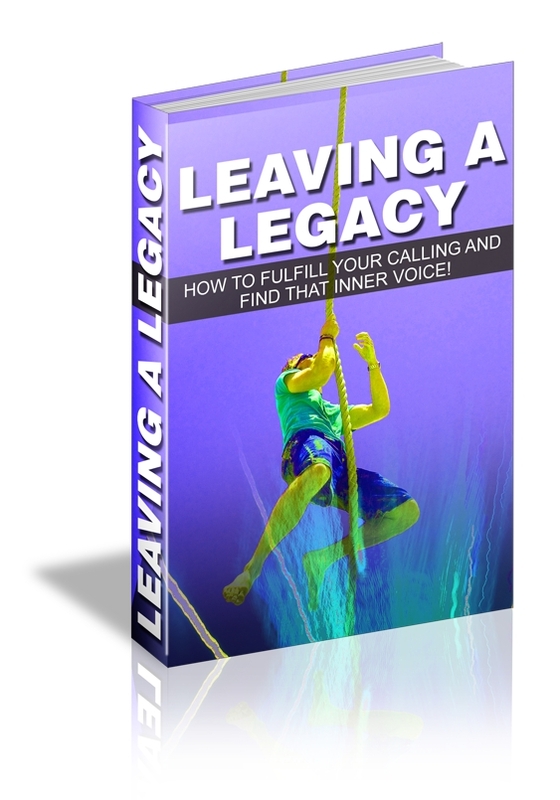 You can start planting seeds today to institute your own legacy. People who leave rich legacies behind are aware of the importance of the richest asset of all – time.